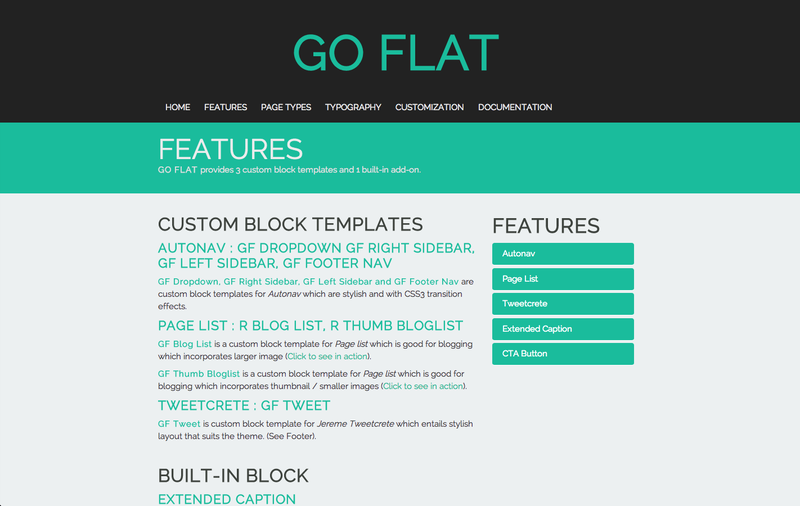 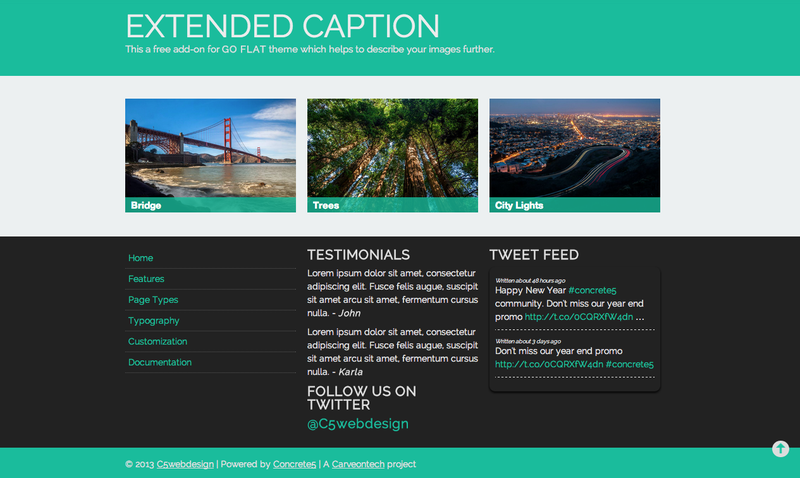 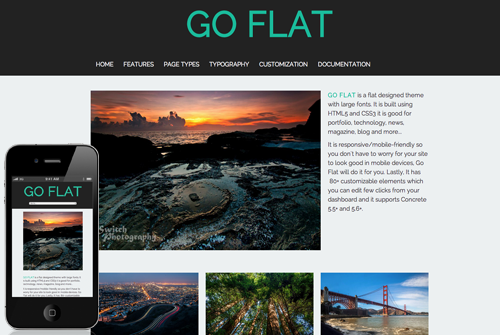 Go Flat is a flat designed responsive theme with large fonts. 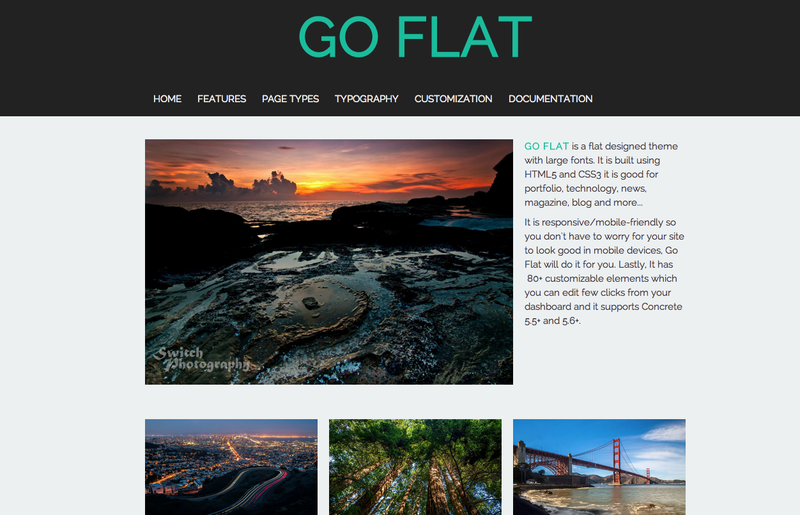 It is built using HTML5 and CSS3 and it is good for blog, news, technology, portfolio, magazine and more... Let your website be trendy! 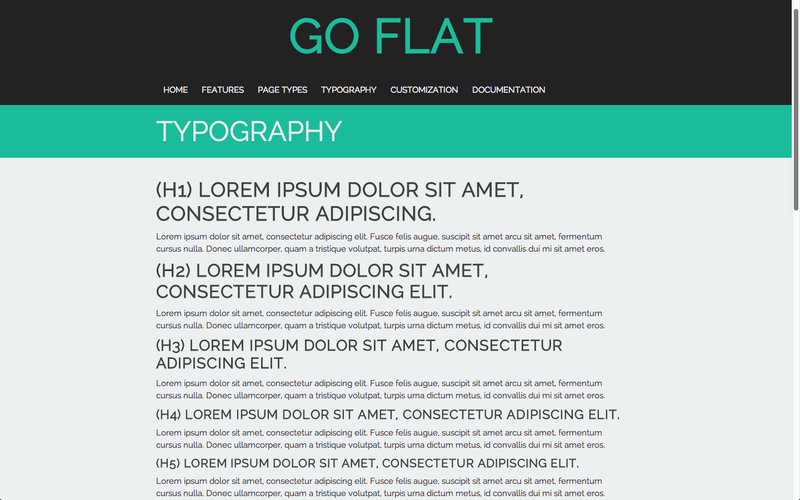 It is responsive/mobile-friendly so you don't have to worry for your site to look good in mobile devices, Go Flat will do it for you. 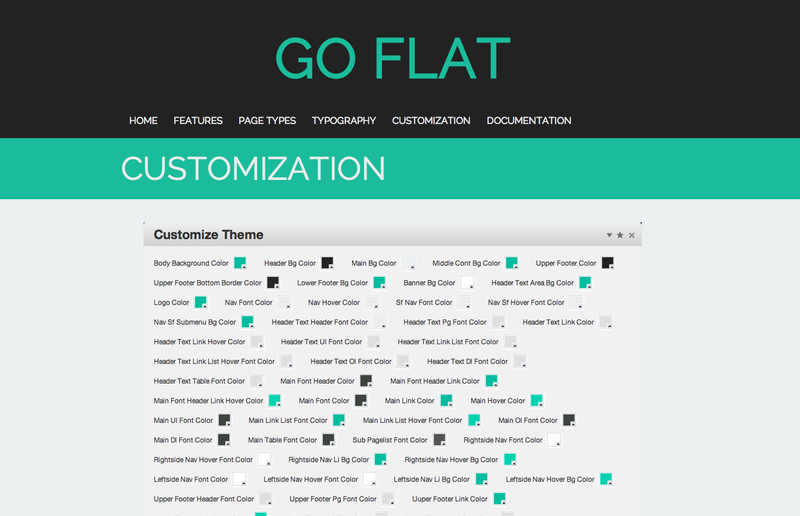 Lastly, It has 80+ customizable elements which you can edit few clicks from your dashboard and it supports Concrete 5.5+ and 5.6+.